Your students will get plenty of practice with these task cards! 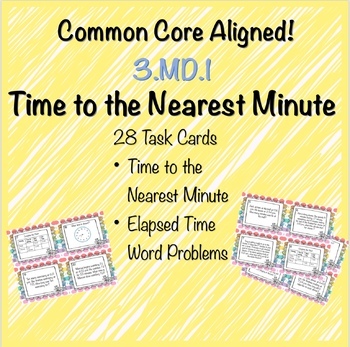 Each card aligns with common core standards 3.MD.A1 (tell and write time to the nearest minute and solve word problems involving addition and subtraction of time intervals). Great activity for test prep before state testing, or to review at the end of the unit. 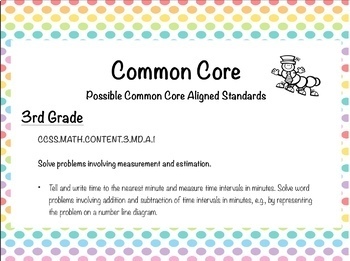 Also perfect for independent math center. This activity can also be used whole group by showing one card at a time to the class. Copyright information: Purchasing this product grants use for a single classroom. If you intend on sharing with other teachers please buy an additional license.